Multiculturalism is now seen by many of its critics as the source of intercultural and social tensions, fostering communal segregation and social conflicts. While the cultural diversity of contemporary societies has to be acknowledged as an empirical and demographic fact, whether multiculturalism as a policy offers an optimal conduit for intercultural understanding and social harmony has become increasingly a matter of polarised public debate. This book examines the contested philosophical foundations of multiculturalism and its, often controversial, applications in the context of migrant societies. 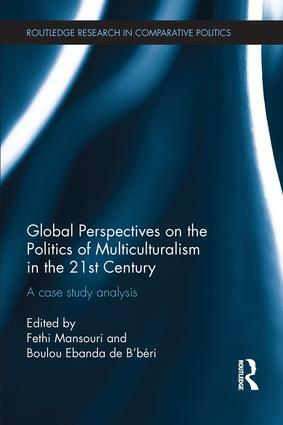 It also explores the current theoretical debates about the extent to which multiculturalism, and related conceptual constructs, can account for the various ethical challenges and policy dilemmas surrounding the management of cultural diversity in our contemporary societies. The authors consider common conceptual and empirical features from a transnational perspective through analysis of the case studies of Australia, Canada, Columbia, Germany, New Zealand, the United Kingdom and Uruguay. This book will be of interest to students and scholars of political science, comparative politics, international studies, multiculturalism, migration and political sociology. Fethi Mansouri is Research Professor in the School of Humanities and Social Sciences and is the Director of the Centre for Citizenship and Globalisation at Deakin University, Australia. He holds a UNESCO Chair on Cultural Diversity and Social Justice. Boulou Ebanda de B’béri is Research Director and Professor of Communication Studies at the University of Ottawa, Canada.